EMT 140's add that authentic ambience within a mix. Emulated a million times over, there's still no substitute for the real thing. The 240 offers a very sweet sounding and natural reverb useful on just about everything. The earliest form of reverb available. Our tile room is a converted toilet block with tiles throughout - walls, ceiling and floor - it is a very natural reverb that is completely unique to our studio. We have conveniently installed a large 3 way speaker and a pair of mics in the room - which are both fed from our patchbay. The tail lasts around 3 seconds, and has been used on hundreds of records since we opened the studio. We love it! Classic reverb units heard on countless records from the 80's onwards. Great on snare drums and acoustic guitars. Great for ambience. Great for vocals. A great FX unit that is still favourited by many over the 480/224 for many applications. There's nothing like an AMS. Awesome machine that can be used for delay and harmonising. A true classic. The Dimension D needs no introduction. Regarded by many as one of the best chorus units ever made. It can be a fantastic tool for subtle widening, or to add thickness and analogue goodness to synths and guitars. 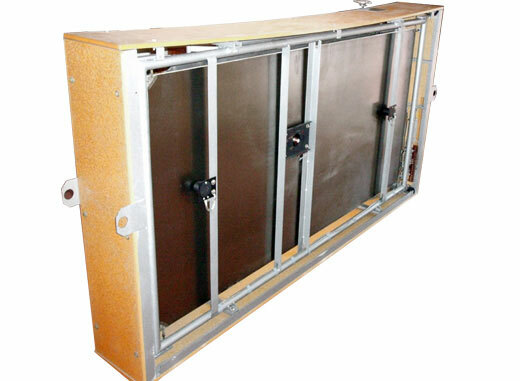 The rack mount version of the RE-501. A classic tape delay that also offers chorus, plus a spring reverb. In addition to the hardware listed above we also have a full suite of RTAS/AAX plugins from Soundtoys, Eventide, Kush Audio, Valhalla, Sonnox plus the Waves Platinum Bundle. A complete suite of UAD plugins may also be available with advance notice, subject to availability.